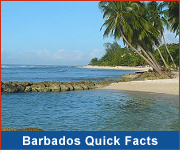 Located in St. Michael is the capital city Bridgetown which, together with its Garrison, is a UNESCO World Heritage Site. Here you'll find the 3rd oldest Parliament in the Western Hemisphere and a historic Jewish Synagogue co-existing with modern shopping centres and commercial buildings. 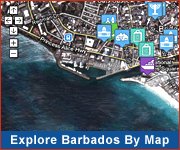 Be sure to stop by the Pelican Craft Village for authentic Barbados art and craft. Carlisle Bay is home to several shipwrecks and its beach is perfect for sunbathing and swimming. Brandons is another fantastic beach located in St.Michael. Visit the historic Kensington Oval cricket ground, take a submarine tour on Atlantis Submarines, see rum being made at Mount Gay Visitor Centre, or meet local craftsmen at Medford Craft World, St. Michael has it all!